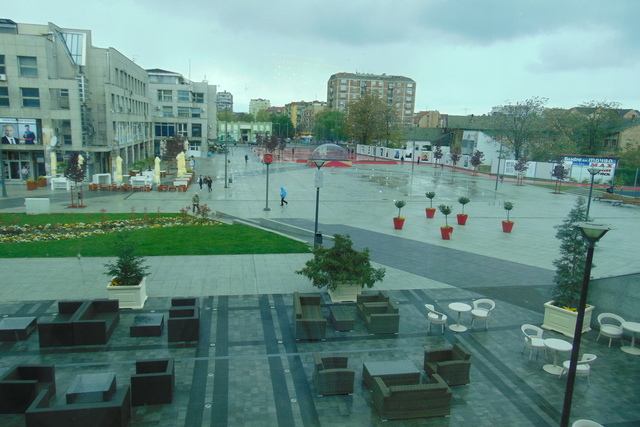 So we had to go to the city of Šabac on a 7°, rainy Wednesday… where are you Mr. Sun? It’s still raining and freezing cold until now. Anyway, it was for work so I didn’t managed to take pictures of the city center or the big Sava river, or that beautiful fields of yellow flowers along the road. I read that there’s also a fortress near the riverbank of Sava. Too bad that my watch and weather was not on my side since I would like to explore this city more. Maybe next time, I can show you more of Šabac. It is more than an hour drive from Serbia’s capital, Belgrade, and is situated along the Sava river. This city is not a famous tourist destination, but they do have a fair share of attractions and festivals to celebrate so I wouldn’t mind going back in the furture. 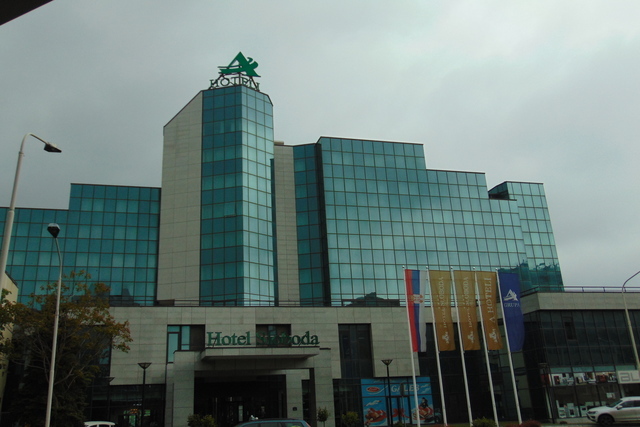 Meanwhile, I managed to take a picture of Hotel Sloboda Šabac which was our main destination. As I said, it was a very gloomy weather so please excuse my dark shots (excuses, excuses, excuses…. haha I just really don’t have creativity in me). 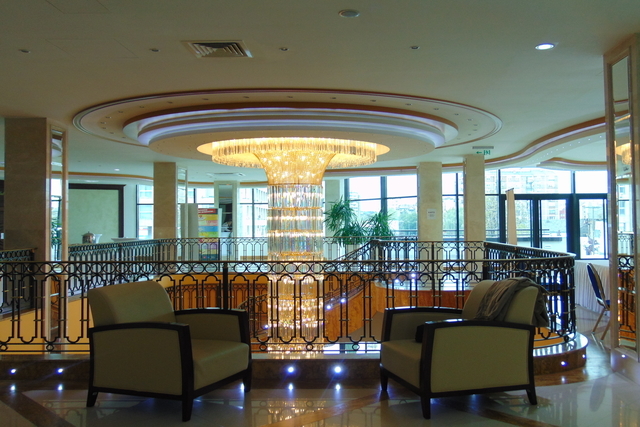 This hotel was renovated a few years ago and it is now considered a luxury hotel. The ground floor is surrounded by coffee shops in almost all sides (all-operated by the hotel of course) and is just connected to each other. The prices are above average, but still justifiable when you look at the fancy ambiance of this hotel. The weather may not be on my side, but one interesting happened when we’re already heading home. Somehow we were once again a victim of confusing and missing road signs that we couldn’t figure out how to go back to the highway. We had to stop a bit to figure out how to get out of the city when another car pulled over and then a man got out of his car to ask what’s bothering us. I’m telling you people, I don’t see that often in here. So we asked him for directions to the highway and tadaaaa… he went to his car and said he will turn around and guide us to the highway. I was in a complete state of shock, because once again, I don’t see that often in here. We do live in a world where people just like to rush and don’t have anytime to spare, I can’t help but be moved. This man and that woman seating in the passenger seat went out of their way to help complete strangers. And just that is reason enough for me to go back to the city of Šabac.